Quiet and remote, the Marie Property (40 acres) is a peaceful destination to hike and revive in nature. 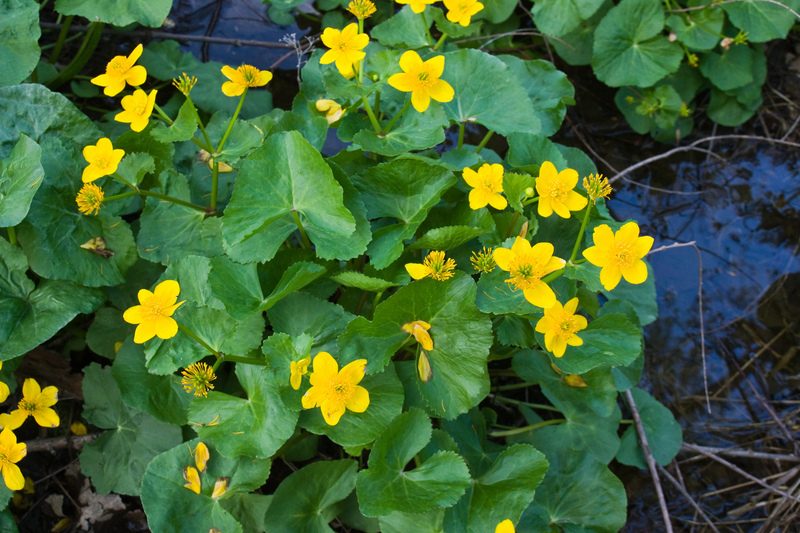 This is one of Dodge’s best destinations to see native woodland flowers, like Marsh Marigolds. There are no buildings or restrooms at this location. Trails are open during daylight hours every day of the week. There is no cost to hike at Dodge. The Marie Property is located across the street from Dodge’s Main Property on Marie Avenue West. You have the option to park on the street or in our Main Office Entrance 1 parking lot.